When selecting a project management tool for your team, one of the factors you have to think about is whether it is on-premise service or cloud service. The biggest difference between those two kinds of service is the way it is deployed. On-Premise project management tool is installed and deployed on your own server. You should be able to deploy and maintain it yourself locally. Cloud, or SAAS, project management tool is hosted on the vendor's server remotely and the vendor will take care of the maintenance. You usually access it through the Internet. Now you know the basic difference between them, but which one should you choose? Considering the cost, the security, the customization and implementation, let's go through the pros and cons of on-premise tools and cloud services. On-premise tool is usually a one-time payment thing. You pay it once and for all. 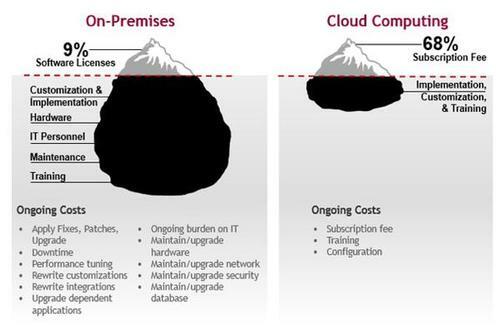 Unlike on-premise ones, cloud service is charged on time-basis or so-called subscription. You can always stop the payment, once you don't think it is fit your team. Security is the most obvious difference between an on-premise tool and a cloud service, as the data is stored on different servers. It might be the factor the concerns your decision greatly, as data security is very important to an organization. Some organizations might not be as adept at practicing proper data security protocols. From what has been said above, on-premise tools are usually more secure and customizable, as you have more control of it, while cloud service is easy to use and stable as the vendor is constantly updating it. The choice is really dependent on what feature you want for your team.